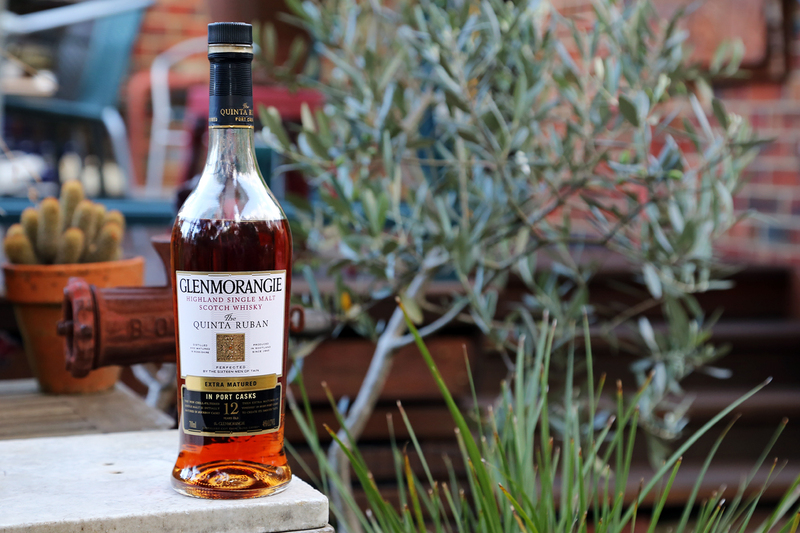 Around 2008, Glenmorangie released what we now know as the current range of ‘extra-matured’ whiskies. 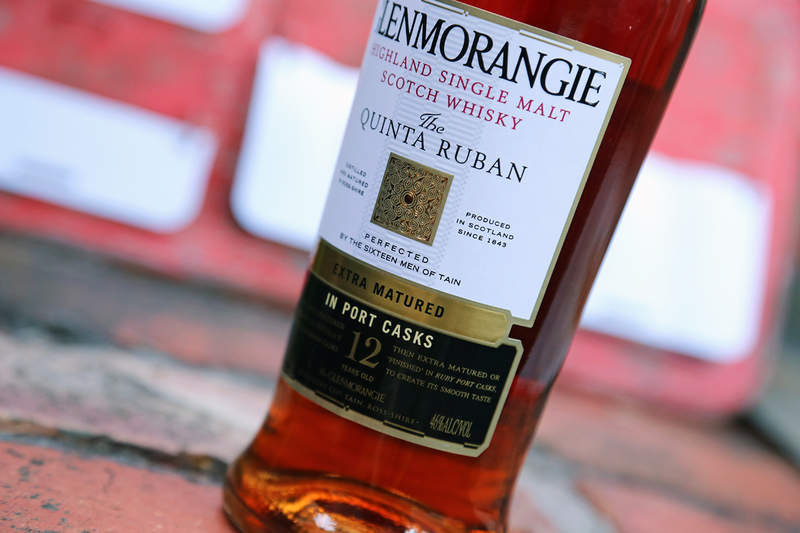 The range of three includes Lassanta (finished in ex- oloroso sherry casks), Nectar d’Or (finished in sweet French sauternes wines casks) and this one, Quinta Ruban which has been finished in Portuguese ruby port pipes. To arrive at these ‘extra-matured’ whiskies, Glenmorangie start with their standard 10 year old, which has been resting away for ten years in American white oak (first fill and refill casks). They re-rack this whisky into the wine casks mentioned above for a further two years of maturation, bottling each expression at 12 years of age. The other big difference between the extra-matured range and the standard 10 year old is that they’re each bottled at 46% ABV (instead of 40%). They’re also non-chill filtered – preserving loads more of those delicious oily flavours. Glenmorangie have long been considered one of the pioneers of cask finished or ‘extra-matured’ whisky. Well before the current extra-matured range was released, Glenmorangie were re-racking their whisky into various wine casks, as far back as the late 1980’s. Some of these casks were pretty exotic too! Truffle Oak anyone? Often referred to as one of their best and one that collectors regularly pay big dollars for is their 1975 Tain L’Hermitage. Distilled in 1975, it was moved into Côtes du Rhône wine casks in 1999, then bottled in 2003 at 28 years old (there was also an original version bottled in 1995, but it’s as rare as hen’s teeth). The first thing I got was more spirit than usual, not surprising given it’s bottled at 46%. Sweet vanilla bourbon notes from the American white oak are there, but they’re dominated by a rich sweetness. Not super fruity, but more sugared plums, cherry and wine notes. I got a hint of spice and also some curious fresh/cooling notes – butter menthol of some sort? On entry, this has a reasonably oily mouth feel and is quite sweet and creamy. I also got a fair amount of spice on the side of my tongue, but it dissipates rather quickly, leaving behind a second wave of creamy sweet plummy notes, some dark cherries and a slightly tingling raspberry jam flavour. The port has had a big influence on this one. The spice on the palate fades as fast as it arrives, leaving behind a really curious tingling sensation, almost fizzy or carbonated in a sense. Can’t say I’ve experienced that sensation in a whisky before! Some light oaky bitterness, nice medium length warmth and some traces of that cooling butter menthol from the nose start to emerge. Even though the port finish is pretty heavy on the nose and palate, this is still unmistakably Glenmorangie. I love the fact it’s non-chill filtered and that they’ve bottled it at 46% ABV (makes me wish the standard 10 year old was the same). I personally found the fizzy tingling sensation a little odd and the port dominated a bit too much for my liking, taking away from the more delicate Glenmorangie notes that I really enjoy. In saying that, I can definitely see this being enjoyed by many as a great digestif style whisky.